Spring break is here, and I’m sure we’re all looking for ways to keep the kids busy. Oriental Trading Company sent us these ceramic egg cups to play with ( I was provided the egg cups free of charge by the Oriental Trading Company. No other type of compensation was received for this review. All opinions are my own.) Did you know that they sell craft supplies? Awesome! 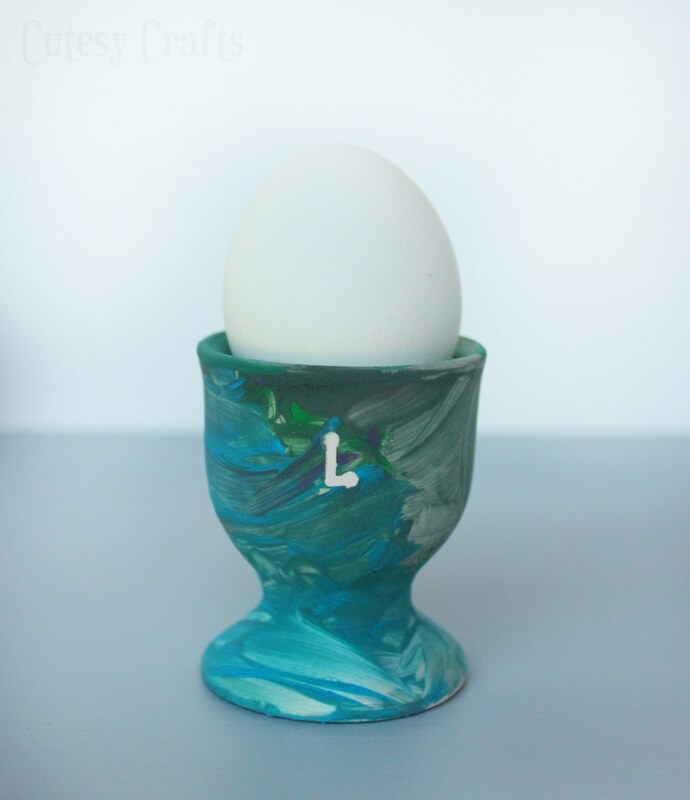 This was a perfect little craft for Easter! 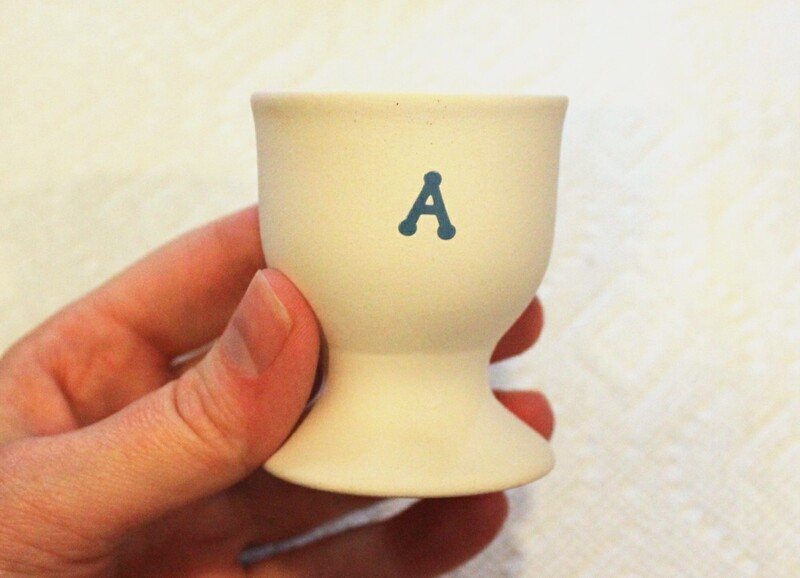 Before the kids started painting, I put a letter sticker on their cups. “A” for Audrey and “L” for Leah. 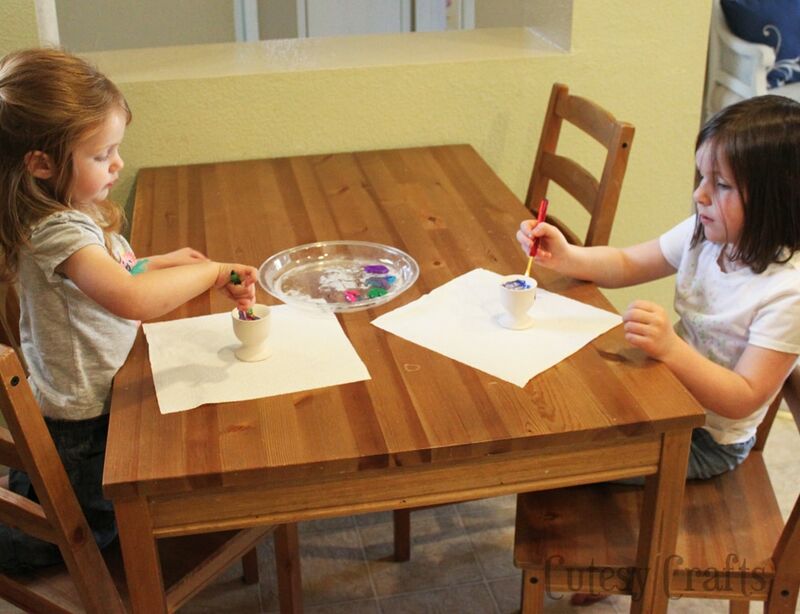 Let the kids go crazy with the paint. Look at that concentration! Wait until the paint is completely dry and then peel off the stickers to reveal the white letters. 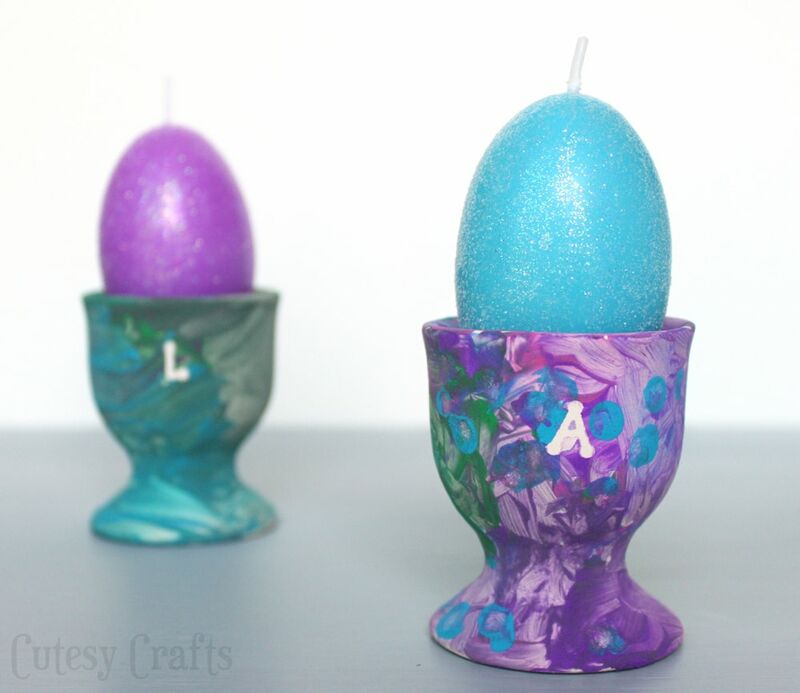 Use them to hold Easter eggs, or do like I did and find some cute egg-shaped candles. Yay! 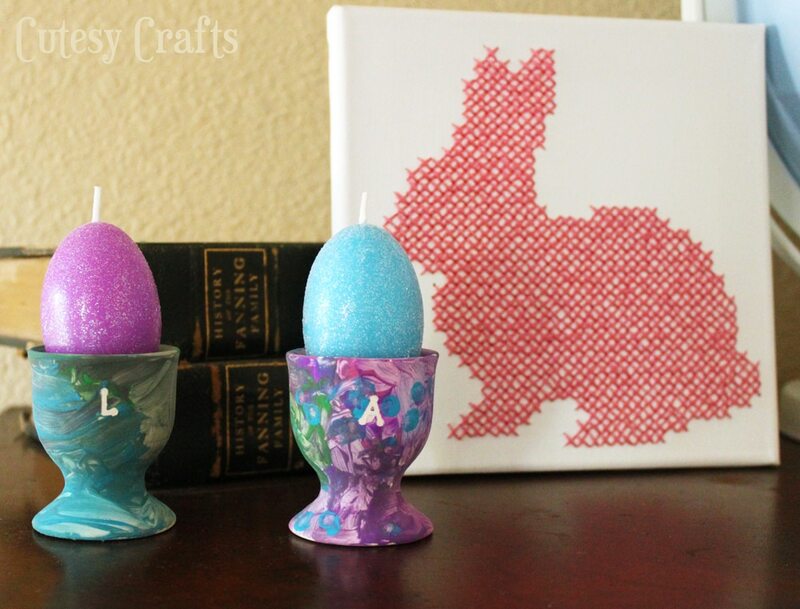 More Easter decor to keep my bunny company!